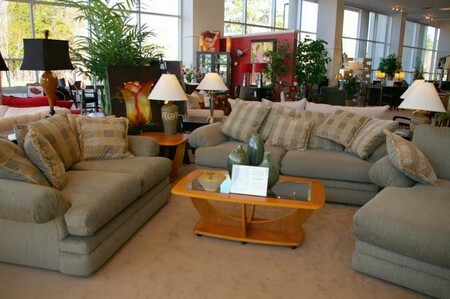 Strong business plan and adequate financing are the important considerations to open a new furniture store. One good thing to start a furniture store is that we need not require much successful technical knowledge instead we need to find good suppliers who can give reasonable prices on merchandise. The first and foremost thing to start a furniture store is that we need a lot of start up capital so that we can fulfill the requirements of customers to the utmost by providing best quality furniture to them. Since furniture is expensive even from wholesalers and suppliers it is very expensive to stock a furniture store. The costs that are taken into account are delivery costs, salaries, insurance and building lease costs. On the other hand if we do not have the required capital, then we can approach banks or any other lending institution before which we should have a business plan in hand. The next thing we should consider while starting a furniture store is location. The best location is the place where there is lots of regular traffic all over the day so that people can see the store clearly from the street and where there is enough space to drive into the lot. Most of the furniture stores will be constructed with large windows in the front so that people get excited on seeing the featured pieces of furniture before even they step into the furniture store. A clear policy on delivery and returns is very important. It is also necessary to have customers sign off on this policy during every purchase which will safeguard the customers from disputes and limit our liability. Online shopping enables us to increase the sales. A particular sum of money should be kept aside in the budget to build a nice website and update it regularly with information on sales and new offers. First a business plan must be written to develop the plan of action because business plan gives better information about the elements to be considered before we start a furniture store. Secondly the area to construct the store is important. We need to know the area which can support the type of furniture store we want to open and where people like to shop. Required finance should be kept in hand before starting the store. We need to have our property situation finalized i.e. we should have finalized agreements for the store. The next thing is to build out the space for the store. It is also good to have all the necessary permits before the grand opening. We need to hold our opening since some companies will prefer to have a soft opening which provides an opportunity for the customers to shop while others prefer to start with a grand opening .Whichever way we decide we need to open the doors and start selling.